Lulu Loves Tea: Look! I knitted a Hat! Look! I knitted a Hat! 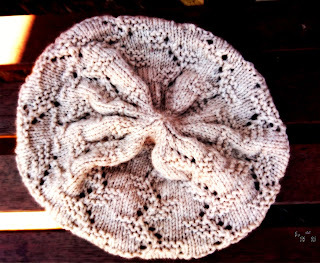 I did some serious knitting this week (never mind housework and other responsibilities) and whipped up a hat. Yes, you read that right, I finished a knitting project fast enough to describe it as 'whipped up'. All for a fun Knit-A-Long for the Hey Sister Podcast. I found a great hat recommended by other knitters in the Hey Sister Chat thread - the Ziggy Hat pattern, and I loved it. It's a little large, but that's entirely my fault - as I picked up a yarn I had hanging around, unlabeled. Turns out it's probably 12 ply, and the pattern is for 10 ply. I still love it - it's that great slouchy vibe, and I can fix the loose 'cuff' by sewing through some shirring elastic. Wish I'd had it for the snow - it's got some serious warmth. The pattern looks lovely - it's a zig zag (hence the name) but I also think it's kind of like leaves on a vine. It was simple enough for my (limited) concentration span, and forgiving enough to cope with a few mistakes (unless you look really closely and I won't let you!). It was nice to do a quick project and get instant gratification. It was much easier than I expected. 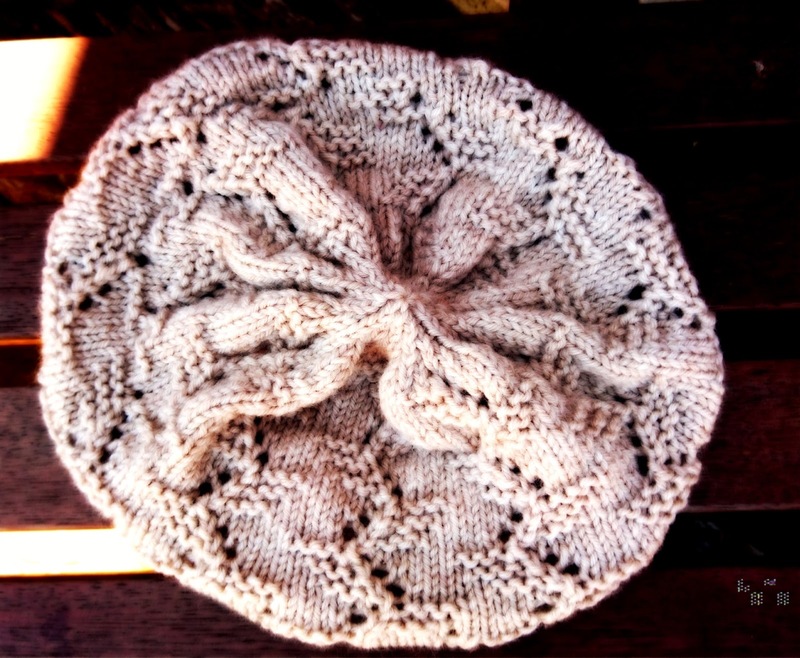 Have you ever knit a hat? I'll definitely be knitting more.